It is time to get those creative juices going again! Mrs. McBride is offering another opportunity to put your skills to work. 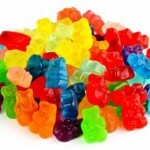 Find out more details for this month’s challenge here – The Gummy Bear Challenge. April is blue for respect.Respect is to show polite regard and consideration. Respect is a feeling of admiring someone or something that is good, valuable, and important and should be treated a certain way. Everyone deserves to be treated with respect. 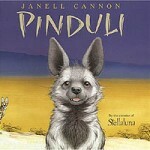 Cottage Lane’s book of the month, Pinduli, is a surprising story about self-image, self-acceptance, and treating others with respect. After reading, sharing and discussing this special book you will realize how a few tiny words – bad or good – can create something enormous! Do you think that by hurting someone else’s feelings it made the animals who made Pinduli feel bad, feel better about themselves? This month please practice respect toward others, adults and the Earth! On Tuesday and Friday, please wear blue. As a school community, we are going to show our support for Autism Awareness and our monthly assembly, Respect! This is a great time to show respect for others and others diagnosed with Autism. What else can you do? 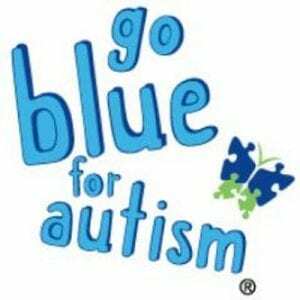 Please visit Mrs. McBride’s website for further details – Blue for Autism. 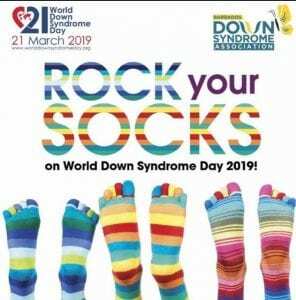 Rock Your Socks tomorrow March 21st to show your support. Visit Mrs. McBride’s website for more information. Integrity is the quality of being honest, having strong moral principles and total sincerity. Honesty is often viewed as saying the right thing and integrity is doing the right thing. Read and listen to our book of the month, Mr. Peabody’s Apples. In the story, Tommy realizes the damage he has caused to Mr. Peabody. He says, “I have a lot of work to do.” Pretend you are Tommy and write an apology to Mr. Peabody which explains how Tommy plans to amend what he has done. Click on the link below to order your 2019 Field Day shirt. 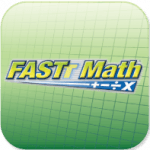 Please place your order by Friday, March 1! 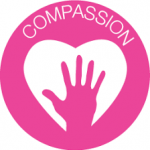 This month at Cottage Lane we are focusing on compassion. At today’s assembly, we discussed the meaning of compassion and how we can show compassion in school, at home and in the world. Our Compassion Cards encourage us to perform random acts of compassion. From the Smile Train Fundraiser to Valentine’s for Veterans, our compassion can make a difference in the lives of others. Our book of the month, Each Kindness by Jacqueline Woodson, gives a lesson about how even small acts of kindness can change the world. The main character realizes the lost opportunity for friendship and thinks about how much better it could have been if a little compassion was shown toward others. Remember…Don’t be a wrinkle in someone else’s heart. Instead…make time this month to complete your compassion cards. Together we can fill our hallway heart! SOCSD afforded an amazing opportunity for students in grades 5-8. Malala Yousafzai spoke to our students about the importance of education and especially for girls. 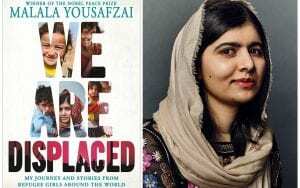 She has a new book called, We are Displaced. Please read or listen (scroll to the bottom of page) to her biography – Malala Yousafzai. Watch an interview with her below. What amazed you most about Malala? Post your comment to this blog. Welcome to an exciting New Year, and may you achieve all your goals in 2019. This month’s assembly, Colors of Character for January, reminds us that perseverance is essential to success. Ezra Frech Sports Illustrated’s SportsKid of the Year Award. 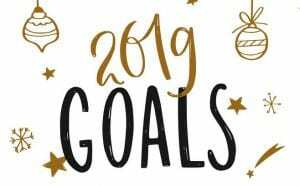 Post your goal for 2019 and the steps you will take to achieve this goal. Empathy is the feeling that you understand and share another person’s experiences and emotions. Empathy is the ability to understand and share the feelings of another. Empathy is about standing in someone else’s shoes, feeling with his or her heart, seeing with his or her eyes. Empathy makes the world a better place. Practice empathy by being observant of others, using active listening and donating a pair of new or gently used shoes for Soles to Souls. Our book of the month is The Yellow Star by Carmen Deedy. After reading and listening to the Legend of King Christian X of Denmark, explain why the author titled the book The Yellow Star. What does the yellow star symbolize?